Yes! 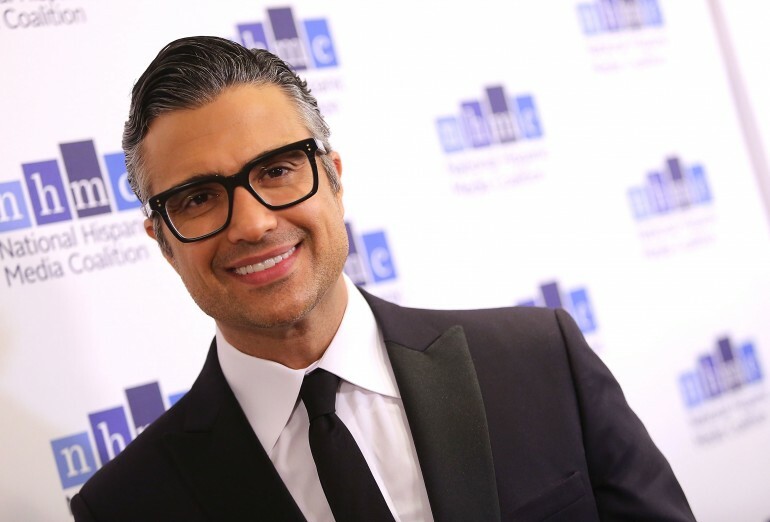 “Jane the Virgin” actor Jaime Camil has been announced for the Hollywood Bowl's upcoming production of “Mamma Mia!” in Los Angeles. Jaime who last summer wrapped a two-month run on Broadway starring as "Billy Flynn" in Chicago, has appeared on stage in "West Side Story", "Hook", "Aladdin", "El Diluvio Que Viene" and the Broadway-bound musical The Mambo Kings, has also been confirmed in this project to play the role of Sam Carmichael. As we all remember, Pierce Brosnan played this character in the movie version. Latin lover and Golden Globe nominee must be really happy with the news as he will be surrounded by a great cast and production crew, including director and choreographer Kathleen Marshall, one of Broadway’s most renowned artists who has worked on great productions like "Grease" (2007 revival), "Pajama Game" (2006 revival with Harry Connick, Jr.), "Wonderful Town" (2003 revival), "Little Shop of Horrors" (2003), "Follies" (2001), "Ring Round the Moon" (1999), "1776" (1997), and "Swinging on a Star" (1995). In case you don’t remember, “Mamma Mia!” is the 2001 international phenomenon about a young woman's plot to uncover the identity of her father among three of her mother's former loves, all invited to her wedding on a Greek island. Recently, the actor confessed to People, “There was a little pressure to go with a show on another network, but ultimately I knew Jane was the right choice,” and sure it was because Rogelio's role has taken this Telenovela sensation really far. Mamma Mia! will have three performances at the Hollywood Bowl this summer Friday, July 28, at 8 PM, Saturday, July 29, at 8 PM and Sunday, July 30, at 7:30 PM, with single tickets on sale Saturday, May 6. The Latin actor can also be seen on "Jane the Virgin" Season 3, Episode 19 airs May 15 at 9:00 pm ET on The CW. We are very excited for you J, keep up the good work!